This friendship may take time to unravel but is surely beneficial for both sides, in very different ways. It’s truly remarkable to see the bold Aries being good friends with the imaginative and dreamy Pisces. However, these two seem to like one another and to admire the strengths they’re each having. For example, the Aries would like to be more like the Pisces and to say the right things when the situation would require them to. In return, the latter admires the former for getting what he or she wants, even if the Aries is sometimes harsh and difficult to deal with. The Aries is bold and the Pisces is withdrawn, so the Pisces may find the Aries to be too bossy, but this doesn’t mean there can’t be a balance between them. The Aries is a force of nature because people born in this sign are natural born leaders, who in a friendship with the Pisces can become supportive and even more passionate than normally. Furthermore, the Pisces can understand when the Aries has problems and can be a good shoulder to cry on. The Aries is ruled by Mars, while Pisces by Neptune. The latter planet is known for ruling over fantasy, new ideas, but also disillusion, which means the Pisces has many dreams that could be realized with the help of an Aries. These two are not known to combine very well, but when actually friends, they can release a great emotional charge and even a strong physical connection, which is often the case with the Aries and the Pisces. These signs oppose one another, but the Pisces can help the Aries be a little bit more relaxed, while the other way around, the Aries can teach the Pisces how to take risks and to live a more exciting life. The Fish will always show the Ram how to be softer because water puts down fire. Furthermore, fire vaporizes water, which means the Pisces can feel more relaxed in risky situations when with the Aries. A balance between them can be attained, regardless of their different personalities, which means their friendship brings many advantages to both natives. Arieses are ambitious and usually act on impulse, while Pisces have a calm attitude and prefer to dream all day long. This is something that indicates a friendship between them may not all the time work, but that things can also be different. As said before, the Aries acts without thinking of consequences, especially when doing something related to work. All this means the Pisces can only help him or her be more diplomatic and manage things only after thinking twice. While the personalities of an Aries and a Pisces are completely different, these two can be great business partners because the first needs to be taught what relaxation and precision mean. However, they may have problems when the Pisces starts to always be late for meetings. What’s good about them is that the Pisces can always forgive the Aries for being rude, not to mention the Fish gives in when seeing how stubborn the Ram can be. The friendship between these two is indeed unlikely to happen as soon as they will meet, but they still have many things in common, even if the Aries is energetic and courageous, whereas the Pisces is withdrawn. Furthermore, neither of them can stand criticism, so when something like this happens, the Aries becomes angry and the Pisces refuses to talk. If these two will feed one another’s egos, the Aries can help the Pisces do something with his or her creativity, while the latter can show the former’s vision is something valuable. As a cardinal sign, the Aries can lead the mutable Pisces without being too domineering. Furthermore, the Aries will love having someone who doesn’t compete with him or her as a friend. 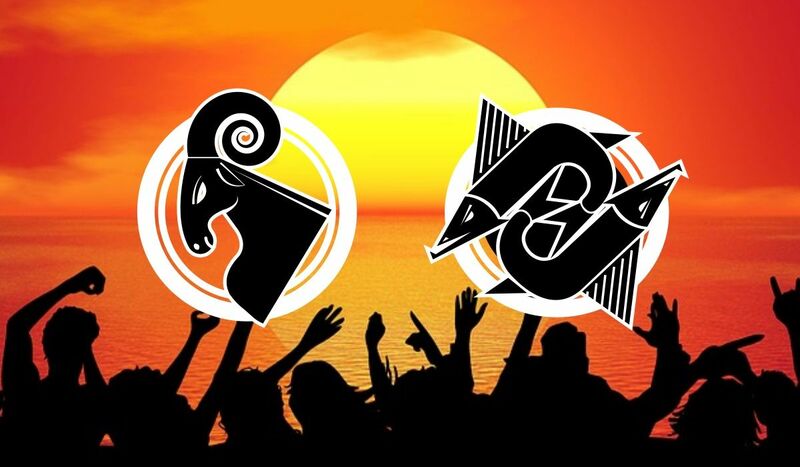 The same Ram won’t mind taking care of the Fish, so these two can agree upon many things and take their projects to completion when collaborating. It can be said the greatest thing about their friendship has a lot to do with how much they can teach one another. For example, the Aries shows the Pisces how to make his or her dreams a reality, the Pisces teaches the Aries how to be calm and to no longer take failure so seriously. The fact that one is bold and the other sensitive can help them complement one another and to have a long-lasting friendship in which they’re relying on each other in times of need. Therefore, when the Aries may have a problem with his or her romantic life as a result of being too bossy and impulsive, the Pisces can help with good advice so the Aries knows what to do next. Also, when the Pisces continues to dream about some ideas that don’t seem realistic, the Aries can come up with the required initiative and convince the Fish to work on what seems to actually bring good results. It’s impossible to get bored when being friends with an Aries because people in this sign are magnetic, energetic and exciting. They’re usually leading the way and invite others to have fun with them. When being around Arieses it’s like being at big parties and not resting because they are after all, a Fire sign. The Aries is always looking to enjoy life and to have fun things happening. It’s very rare for an Aries to act according to what others think of him or her. At parties, they’re always in the middle of things, so their friends want them around to tell a good joke and to keep the atmosphere alive. People in this sign don’t really just sit down and read a book or think of their future because they want to live in the moment and to act fast. It’s very common to see them in the middle of large groups, talking and making jokes as they have a special shine and usually are the ones who keep the conversations going. Furthermore, they’re known as bold and forceful, so they never refuse a challenge and usually deal with what life throws at them without complaining. It’s good to have an Aries as a best friend because he or she can help with motivation and self-confidence, not to mention how precious his or her advice can be. Since Arieses are also down-to-earth, they can help anyone be the same as well. When feeling down, just call in Aries and things will surely get better. People born in Pisces are great friends because they always care, listen and happily give their help. Anyone who knows a Pisces can say the person in this sign is also a great shoulder to cry on. The advice Pisces give is very valuable and never based on prejudice. Warm and open to talk about anything, they can make anyone feel better because they’re also very funny and usually don’t offend with the jokes they’re making. Furthermore, Pisces are very empathic, which means they can feel other people’s emotions. However, these natives should be careful not to drown in their own feelings or to blame themselves for everything that’s going wrong in the world. When insecure, Pisces turn to be cold and start making hurtful remarks. They need friends just like them and who are also supportive. If conflicts are happening, they usually are the peacemakers because they only believe people can be good and never take sides. Mature and capable of dealing with problems, their friends will always come to them because they seem to know the answer of very difficult questions and their truth is usually insightful. Around a Pisces, people get to feel appreciated and respected because this is a sign that’s wise and knows how to use words. It can be said having a friend Pisces makes anyone very lucky. Being a mutable sign that belongs to the Water element and that’s ruled by Neptune, the planet of dreams, the Pisces is a sensitive creature who has strong emotions and relies a lot on intuition. Therefore, he or she knows what to say when his or her friends are in need of help. The fun anyone can have with the Pisces is usually childish because natives of this sign are imaginative, romantic and dreamy, no matter how old. Out of all the signs in the Western zodiac, Pisces are the most generous and caring, so they can also be truly reliable friends.